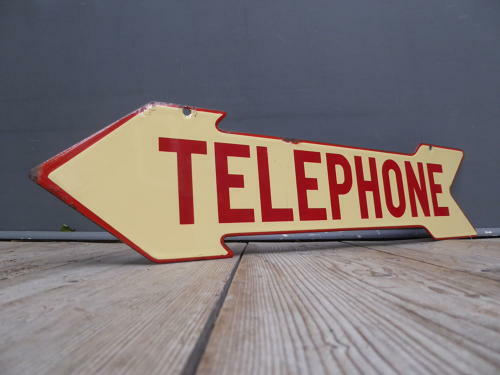 A scarce original vintage 'Telephone' enamel arrow sign. A fantastic double sided die-cut enamel sign with a wonderful depth of colour & an excellent gloss, made in small numbers during so a pretty rare survivor & great decorative piece. Wear commensurate with age as pictured, unrestored.